On Saturday night Nat and Jeremy celebrated their engagement on a private property in Catherine Field. I have known Natalie for many years and was so pleased to be asked to style their special event!! 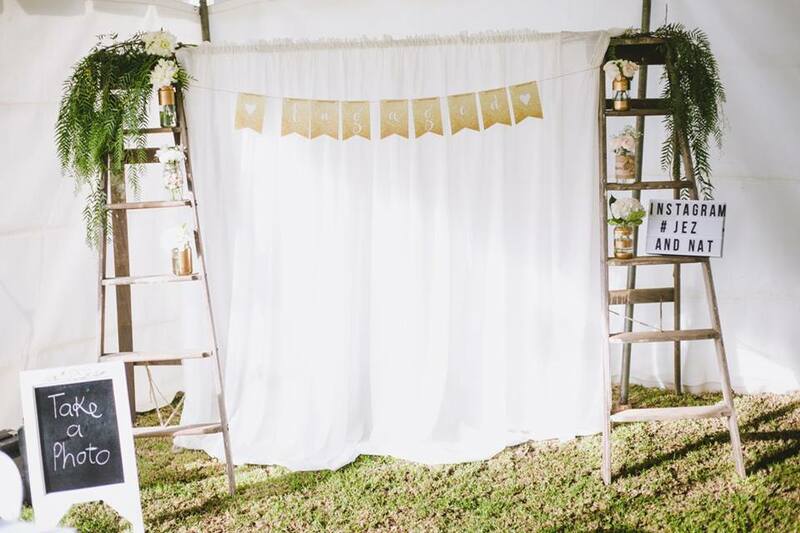 The couple were after a very rustic look with hints of gold. Both Nat and Jez were very hands on during the planning and created some gorgeous personal items to be used throughout the styling!